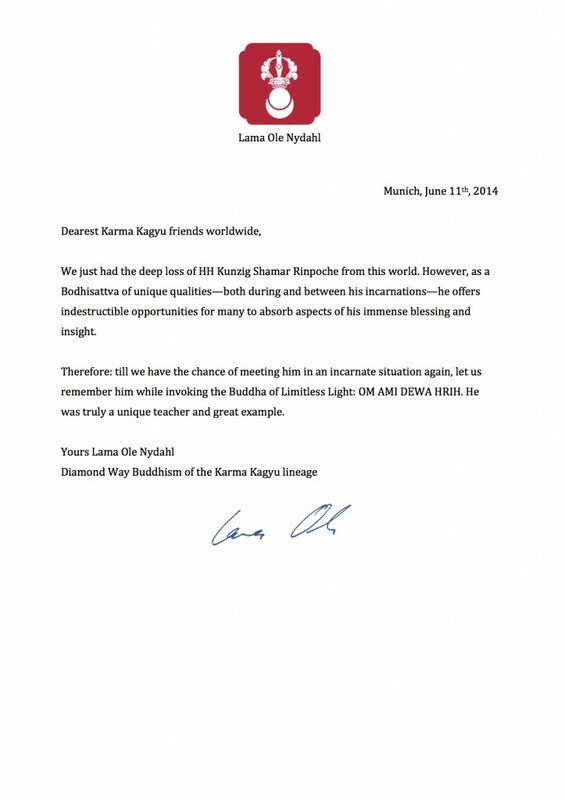 We just had the deep loss of HH Kunzig Shamar Rinpoche from this world. However, as a Bodhisattva of unique qualities—both during and between his incarnations—he offers indestructible opportunities for many to absorb aspects of his immense blessing and insight. Therefore: till we have the chance of meeting him in an incarnate situation again, let us remember him while invoking the Buddha of Limitless Light: OM AMI DEWA HRIH. He was truly a unique teacher and great example.